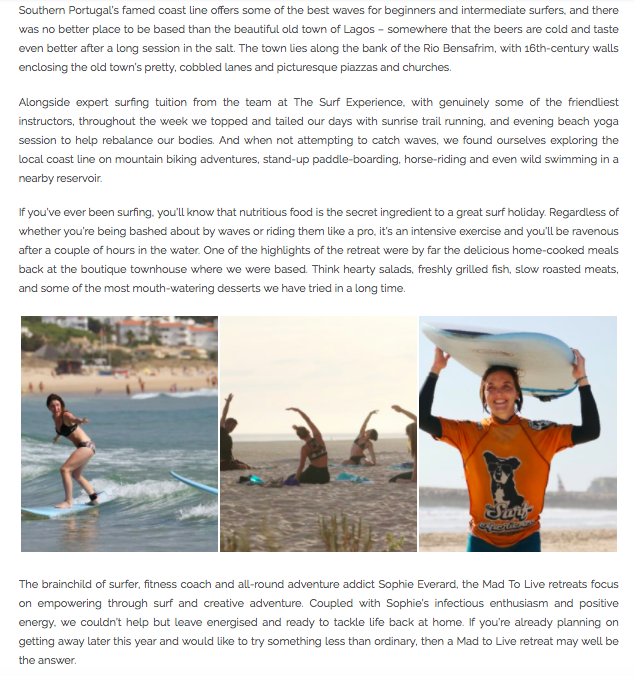 We recently had the pleasure of having the awesome journalist Daniela Marchesi come join us in Portugal for a Mad To Live Retreats x The Surf Experience camp. 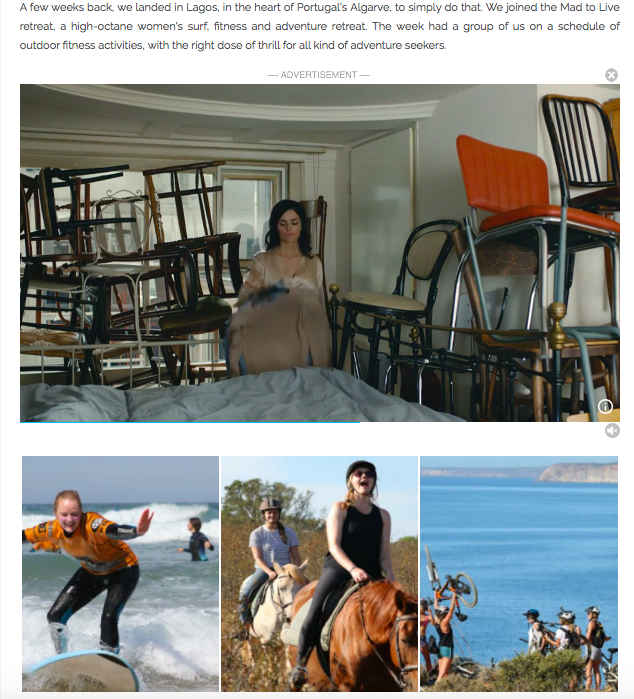 Check out what Daniela made of her trip for her piece in London On The Inside below! Book on to a Mad To Live Retreat here, Portugal September & October dates available!